Kouki is a Japanese name and stands for 光 (kou) “light” or 幸 (kou) “happiness” combined with 希 (ki) “hope” or 輝 (ki) “radiance, shine”. It’s a minimal free WordPress theme for personal blogs. Kouki is meant for publishers who like to display their content delightfully and minimally. 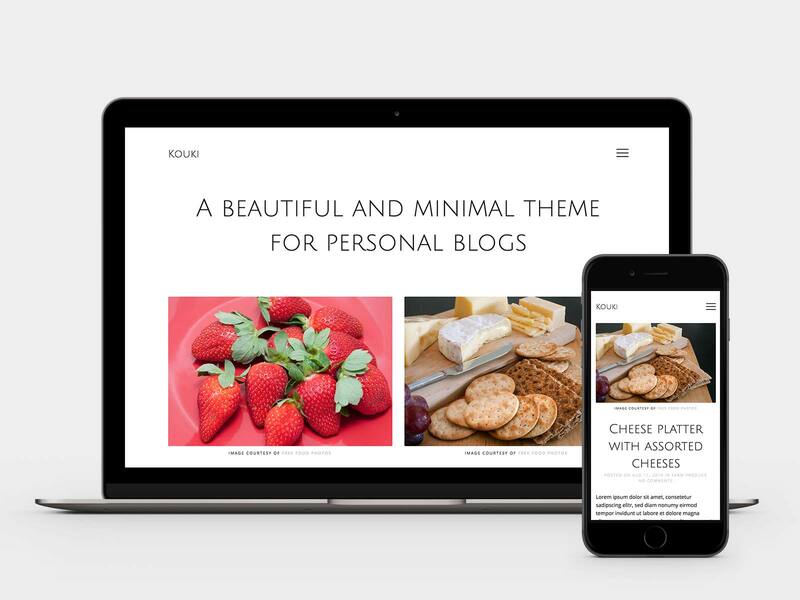 Ideal for food blogs, photographers, minimalists, tumblelogs and everyone else who loves an unobtrusive WordPress theme. Non-mandatory theme options help you to individualize the Theme. Change colors, choose fonts from the Google library and add social icons. The Theme is responsive and looks good on small devices.